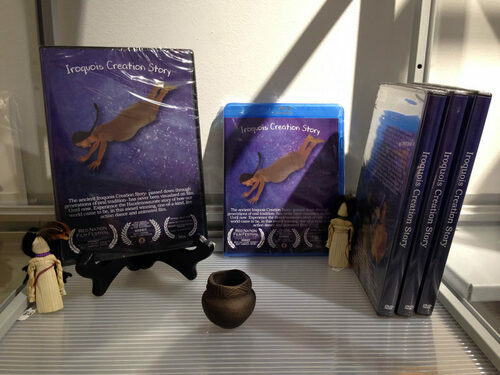 Iroquois Creation Story DVD, (also available in Blu-Ray). The ancient Iroquois Creation Story, passed down through generations of oral tradition, has never before been visualized on film. Experience the award winning Haudenosaunee story of how our world came to be, in this one of a kind, live action and animated film. Choose format. United States orders only. International orders, including Canada, need to call 585-742-1690 or email info@ganondagan.org for shipping cost, ordering and payment. Do not email credit card information.